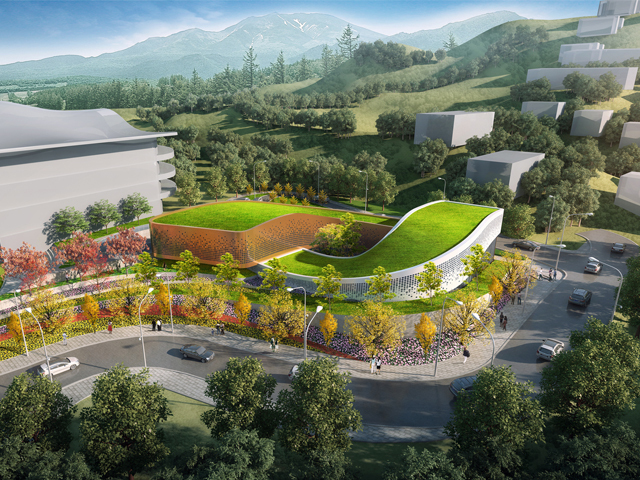 Drawing on the concept of combined elements fire and ice, to represent summer and winter, the winning design chosen for the reception centre of the 2022 Winter Olympics in China will provide a connection between the mountains and the surrounding landscape. 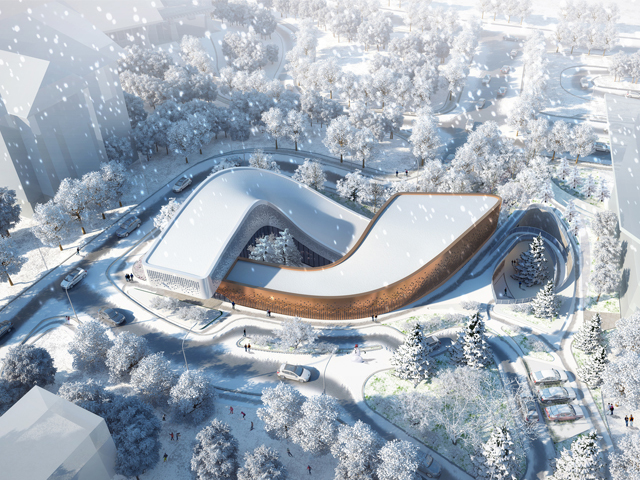 GroupGSA's design for the Four Seasons Reception Centre in Chongli, Zhanjiakou, China, where the 2022 Winter Olympics will be hosted, has been announced as the winning bid. The building will be used as the main information centre for all activities that will occur at the ski resort during the Olympic Games. 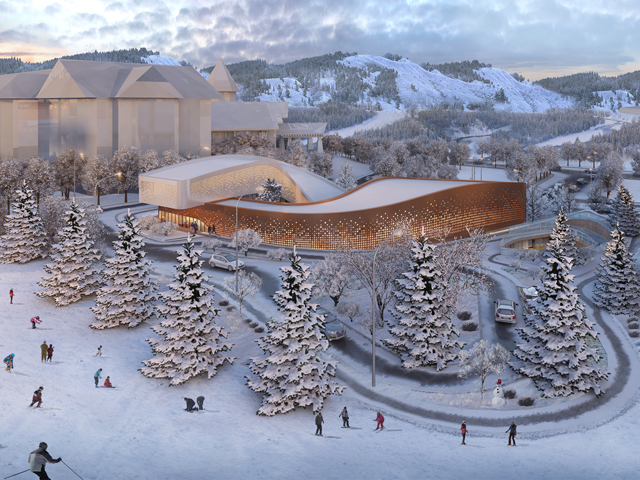 The 4610 square-metre project will be located at the main entrance of the resort and will act as a connection between the surrounding mountains and snow tracks. 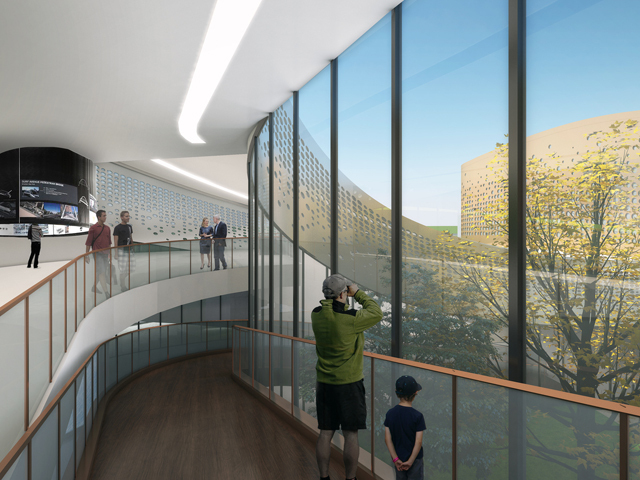 The reception centre will offer visitors spectacular panoramic views of the site and surrounding landscapes. The design draws on a contrast between fire and ice, which represents the resort’s two major tourist seasons. The climate in the area quickly changes from hot summers to cold winters, thus this idea was implemented into the design of the façade. Construction for the centre is expected to be completed by December 2018.